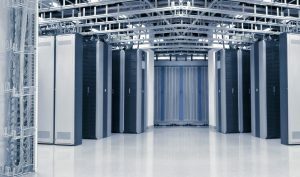 Take stock of the total load in kilowatts of equipment in the data center. Also, measure and record the temperature at the point of intake and exhaust of the middle and top of each rack. Indicate the location and the time of day of each measurement. The temperature and cooling load we record will form the baseline for future comparison. Note the RPM and the internal temperature of servers and other equipment that proves that information. Improving the air flow from the cold to the hot aisle should take priority over any immediate temperature changes. Racks without any electrical load should have sealed plates in front, while racks with running equipment should have perforated tiles in front of the rack. Seal any cable holes in the raised floor and use blanking plates to prevent cold air escaping to the hot aisle. With the proper baselines and optimized airflow, adjust the temperature of the cooling units. Increase the temperature one degree every week and monitor how it affects the intake temperature. As a contingency for hot days, keep portable air conditioners like those from MovinCool.com ready to assist the primary cooling systems. Once the data center reaches the target temperature, check the fan RPM to ensure that the reduce cooling does not result in increased power draw from internal fans.